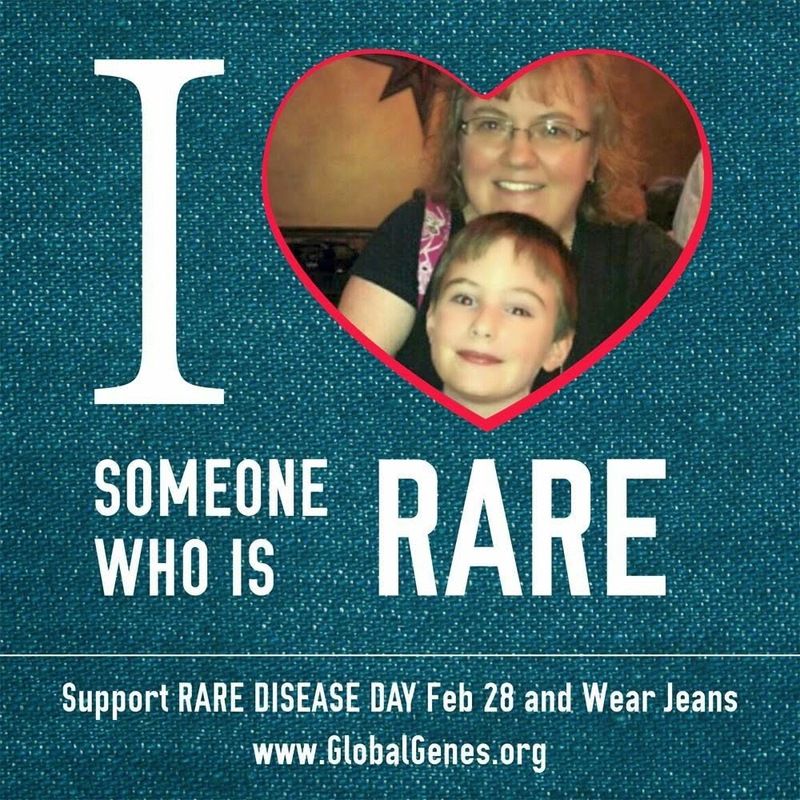 Rare Disease Day!! Wear Your Blue Jeans for Better Bones!! Good Morning!!! How is everyone this fine Friday!!! Is everyone ready for the weekend? I know we have many things planned for the family. I always look forward to good quality family time with my family. I posted this picture of my son and I. We have both been diagnosed with Osteogenesis Imperfecta. This is also known as Brittle Bones Disease. We have a medicine regiment that we follow as well as we need to have infusions to help strengthen, build, grow and repair our bones. My son has had 9 fractures I've had over 100 fractures. Rare Disease Day is the day that we get to raise more awareness about our illness and bring more people, family and friends aware of this disease. Today is a special day in the world of Rare Diseases; people like us that have been diagnosed with something that is not familiar to doctors. With rare diseases there's hospital stays, doctor visits, medicines, and just scary. I know you're saying with any illness or other disease there's hospital stays, doctor visits, medicines and it's scary too. With many other diseases and illnesses, the medical staff know how to treat what is going on and get you back to yourself. When they're faced with someone with a rare disease or cannot figure out what is going on with you that is when it's scary. The constant worry is there, will we conquer this, will we be able to control this and how? These are just a few questions that pass through your mind. Another is what is the treatment for this; is there a treatment? What will it be like? Will this make it worse or better? What do we need to be aware of; what are the side effects of the treatment? I mentioned above about the infusions that my son and I receive. He receives Pamidronate infusions. These infusions take a long time. Just a glimpse into a day with his infusions we go in early in the morning usually around 9am and don't arrive home again until around 5 or 6pm. They begin his infusions with a first bag of saline to prepare his body for the infusion this takes about 2 hours to go through, then they bring the Pamidronate; this one takes 4 to 5 hours to go through depending upon how quick or slow the drip is. This is then followed with a final bag of saline to flush his system this one takes about and hour 1/2 to 2 hours to complete. We then have to follow up again the next day to repeat this course of infusions again then we return again four months later. He doesn't have too many side effects to contend with. He sometimes will complain of headaches and upset stomach. The staff is quick to remedy this when he's getting them done. I then continue with his care when we return home. My infusions I receive are Reclast infusions. I was caught off guard with the side effects of these. I went in received a first bag of saline which took some time to get into my system then this was followed with the Reclast. This took some time as well to get into my system, but not as long of a day as what it takes for our son to get his infusions. I was feeling nauseous when I left. They gave me some things to help with that. I came home and took Tylenol as they directed me to. I was not ready for what I was to experience next. I began to experience bone and joint pain; at first it wasn't that bad. As the night went on the pain increased as well as the nausea. I continued with the Tylenol as directed from the infusion center. The next day when I rose from bed it was a huge challenge, the pain was intense. I felt as though I had be run over by a steam roller and left behind. It was excruciating; this pain lasted for 5 almost 6 days. I was sick for four of those days from the infusions. This is an experience that I will not forget for a long time. I will find out my schedule of infusions in May. You then become over protective in situations depending on what the disease is. I know with our son we have to be protective in the choices of his activities. His nephrologist has said no activity with high impact or possibility of collision. Yes, you thought right! Wow!!! That takes him out of a lot of things. It sure does, but I am very grateful to his school for their awesome support through this. Thank you so much!!! I have been blessed with great members of staff and a great principal that has our back through this. He's been such a great blessing of support. He's lifted me up when I have crashed with being overwhelmed with all of this. I have to say something else about the staff there. My son has a physical therapist and an occupational therapist. These two ladies are awesome!!! I can't say enough about them. They're a great support team, they have helped our son very much in the many years that they've been working with him. They've even modified his therapy sessions when he's had a fracture. I love that they do that because he does need the therapy to progress and continue to strengthen his bones. His phys ed teachers are awesome as well. He has an adaptive phys ed teacher that helps and supports him in his gym time at school. When they learned of his having Osteogenesis many questions came at me. We worked with the doctors and they made things comfortable with me. I say in ways of explaining how the activities are done with the adaptive phys ed side of things. Typical games of things like soccer, basketball and others are different for the adaptive phys ed side. They looked out for our son in ways to protect him from fracturing again. Thank you so much!!!! Also with rare diseases you feel alone, you feel the stares of others, the questions that come at you as if you are so very different from other people and you feel it. This doesn't make you feel comfortable. When you have to carry documents stating that you have this rare disease so that you aren't accused of child abuse with your child that you love and care only as a parent can. You have to have your husband carry documents as well so he's not accused of child abuse or domestic abuse because you too have the same rare disease as your son. This is so sad that you have to do this to protect yourself, you can't just have the support of people around you. Again to clarify our son has Osteogenesis Imperfecta Type 1; I have Osteogenesis Imperfecta Type 1, Type 4. I hope you will show your support either through a donation or in wearing your blue jeans for better bones. 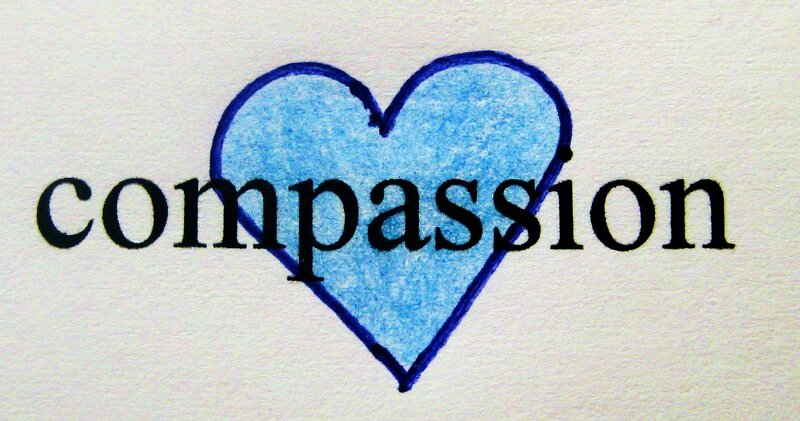 I can say that another thing you can do is this........I say compassion, because when we show our compassion toward ones like us with rare diseases it puts a smile on our hearts, gives us a lift to our day, helps us through some of the more difficult things that we face on a daily basis. Thank you so much for reading and stopping by! Have a wonderful weekend! !